Commonly asked questions about our tailored, on-site training. 2. What are the benefits of choosing custom training from TheCapitol.Net? 3. Is there a charge for designing and developing a custom program? 4. Do you have any custom programs other than those I've seen on your web site? 5. Can our program include topics presented by our own staff and trainers? 6. How many people can you train in a custom program? 7. How is the program fee determined? 8. What does the program fee include? 9. 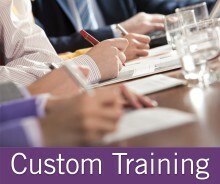 How does the fee for a custom program compare to that for your public training courses? 10. What forms of payment do you accept for custom training? 11. Who can I talk with if I have more questions or if I want to discuss a custom training program for my organization? 12. What is your DUNS number? Tax ID? CAGE code? TheCapitol.Net is a non-partisan small business that provides continuing professional education and publications for thousands of government and business leaders each year. For more than 35 years, TheCapitol.Net and its predecessor, Congressional Quarterly Executive Conferences, have been training professionals from government, military, business, and NGOs about the dynamics and operations of the legislative and executive branches and how to work with them. Our experienced faculty are all independent subject-matter experts with current experience, and include: senior government executives; former members of Congress; Hill and agency staff; editors and journalists; lobbyists; lawyers; nonprofit executives; scholars; and other experts. We are registered with CCR / SAM. TheCapitol.Net has designed and delivered hundreds of custom training programs for hundreds of clients, including federal and state agencies, law and lobbying firms, foreign delegations, corporations, labor unions, and trade associations. Our custom programs have been delivered in locations across the country. See what our clients say about our custom training. An overview of our custom, on-site training is available as a PDF. See our About Us page for more details. Government agencies, see our Information for Government Agencies page. Give your staff or members a higher comfort level when they deal with Congress and congressional staff, and with legislative matters. Save staff or member travel-time, and associated expenses, to an off-site location. Guide the content to meet your training goals and the needs of your attendees. Discuss sensitive or proprietary issues in confidence. Weave your own presentations in among our topics. Allow organization-specific issues to be addressed by our faculty. Off-the-record Q&A allows for frank interaction among attendees and faculty. All of our faculty are independent subject matter experts. Our faculty are chosen for their current expertise and their ability to teach others. Our custom programs include written materials, and many include our award-winning publications. No, not for the typical custom program (1/2-day to 5-days). Before we issue a cost proposal, we work with you to tailor a program that meets your training and educational goals and objectives. However, the agenda developed by us is copyrighted by us and can not be used without charge. We can design any custom program to meet your training objectives and goals. Very few of our custom clients use any of our programs "off-the-shelf" and most mix topics from different courses. We often blend in with our training sessions developed and taught by the client's own staff with our training. 5. Can our custom program from TheCapitol.Net program include topics presented by our own staff and trainers? An executive of the client organization presented a 15 minute welcome and overview of the client's mission. We designed and our faculty presented a 5-day program with several one hour sessions presented by the client's experts. Our faculty presented one hour as part of a client's multi-day program. In our custom programs, we have trained as few as one person and as many as 750 people at one time. Most of our on-site training programs have between 15 and 40 people and are cost-effective, when compared to our public course registration fees alone, when the training group numbers at least 15 to 20 people. After we agree on the agenda and training goals, we will discuss your program with our faculty and select the faculty we believe are most qualified to meet the training goals and present most effectively the tailored program to your attendees. The fee for each program depends on the location, number of attendees, length, and training materials used. Our minimum fee for custom, on-site training for new clients is $3500. Call us for details, or complete our custom program information request for more information. We provide pre-program development and design, materials for your internal marketing and promotion, all course materials, and faculty chosen for your topic and your audience at the time and location you choose. Our custom program clients provide the classroom/meeting space, audio visual equipment, program facilitation, food and beverages for attendees, training certificates, CLE and CEU arrangements, all marketing and registration functions, and travel arrangements for attendees. When a custom training program is held outside the Washington, DC, metro area, travel arrangements for faculty are usually made by the client. We can also make all necessary travel arrangements. We can provide meeting space, program facilitation, audio visual equipment, food and beverages for attendees, marketing, Training Certificates, CEU approval from George Mason University, registration of attendees, individual attendee billing services, and faculty and attendee travel arrangements. Call us for details, or complete our custom program information request for more information. Call us for details, or complete our custom program information request for more information. Please speak with your liaison at TheCapitol.Net about other payment methods. 1 Please see our registration in CCR for EFT/ACH information. If your organization has an organization-specific form that must be completed by us to authorize EFT/ACH payment, please send that form to us at least 2 weeks before the first training date. We do not accept checks from non-US banks, and all payments must be made in USD($). Any foreign currency charges are paid by the client. For more information call us: 202-678-1600. Complete the custom program information request form.